Skin on sea bass (Dicentrarchus labrax) fillets, defrosted. 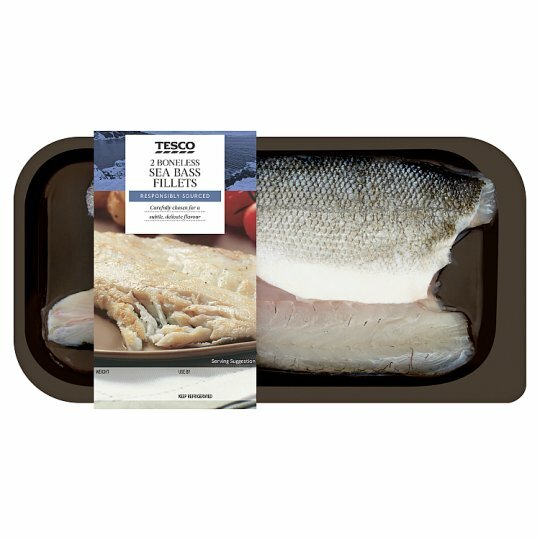 A sweet, white, textured fish, responsibly farmed in the Mediterranean waters around Greece and Turkey. 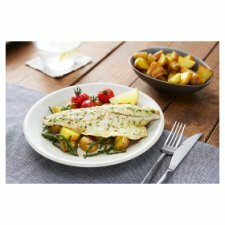 Sea bass is excellent grilled, baked and cooked ‘en papilotte’ (in a parchment parcel) with fennel, capers or Oriental flavours such as soy, ginger and spring onion. Keep refrigerated. Once opened, use immediately., This product was previously frozen and has been restored to chill temperatures under carefully controlled conditions. It is still suitable for home freezing. 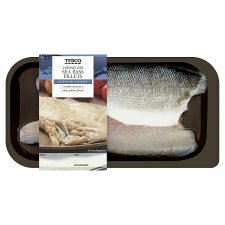 Instructions: Loosely wrap each fillet in lightly oiled foil to form individual parcels. Place on a baking tray on middle shelf of oven for 13-15 minutes. Caution: Although every care has been taken to remove bones, some may remain.Caution: Take care when opening parcel as steam may escape.